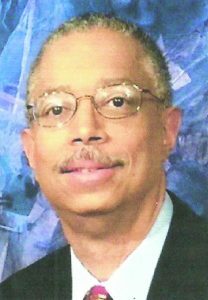 Dr. William Spriggs, son of the late Tuskegee Airman, Dr. Thurman Spriggs, will be the keynote speaker for the 12th annual Reverend Dr. Martin Luther King, Jr., Celebration Breakfast at Grace Episcopal Church on Monday, January 15, 2018 at 9 a.m. Dr. Spriggs is a Professor of Economics at Howard University and is the Chief Economist for the AFL-CIO. He was formerly Assistance Secretary for Policy at the U.S. Department of Labor. This event is sponsored by the Brotherhood of St. Andrew at Grace Episcopal Church located at 1400 E. Brambleton Avenue, Norfolk, VA.
For ticket prices and other information please call (434) 848-2173 or church office at (757) 625-2868.